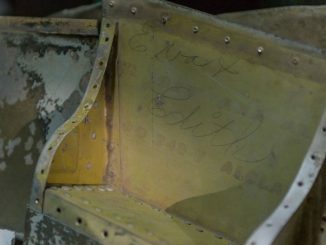 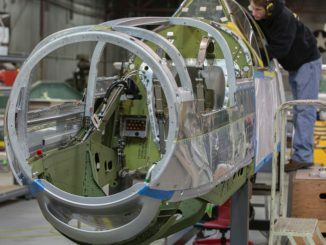 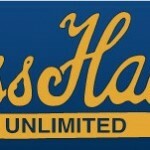 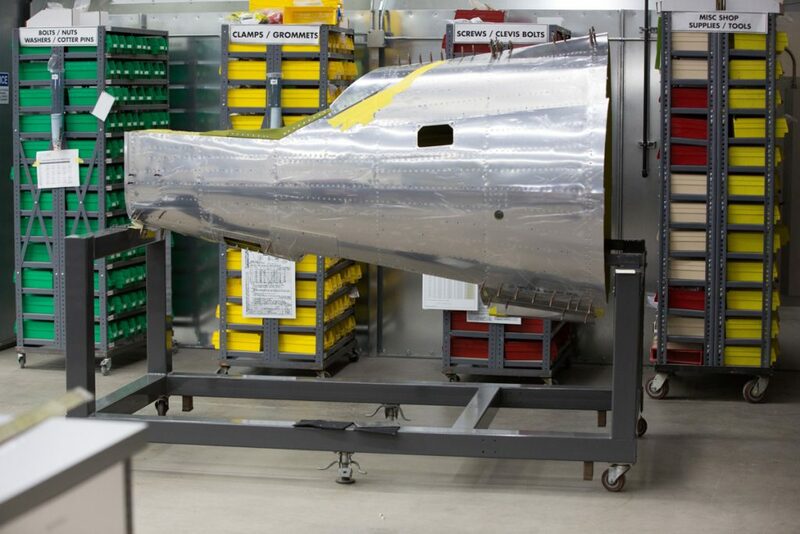 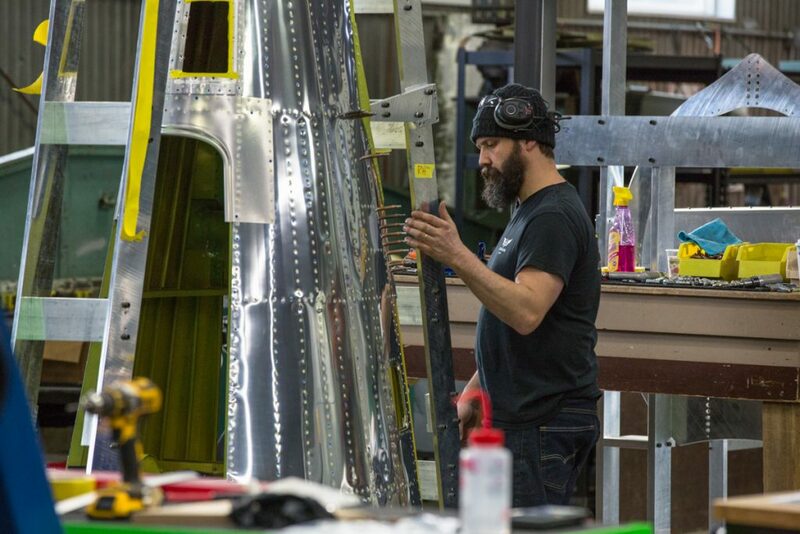 It has been almost exactly two years since we began working on the P-47 on the shop floor. 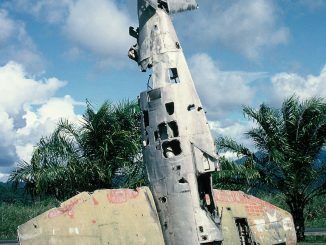 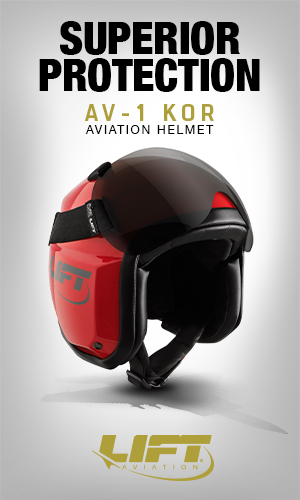 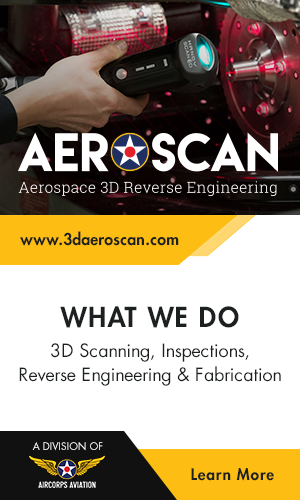 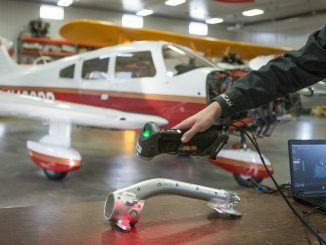 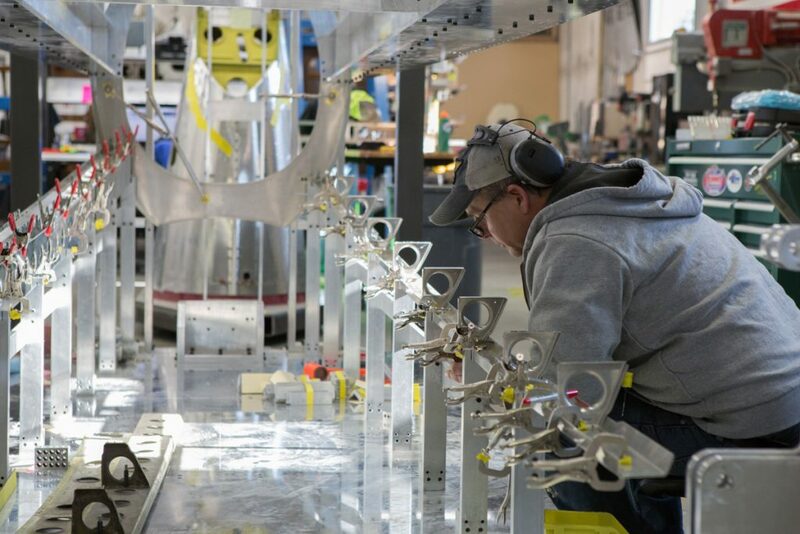 A great deal of that time has been spent on fixture fabrication, disassembly of the veteran airframe, inspection, and parts manufacturing. 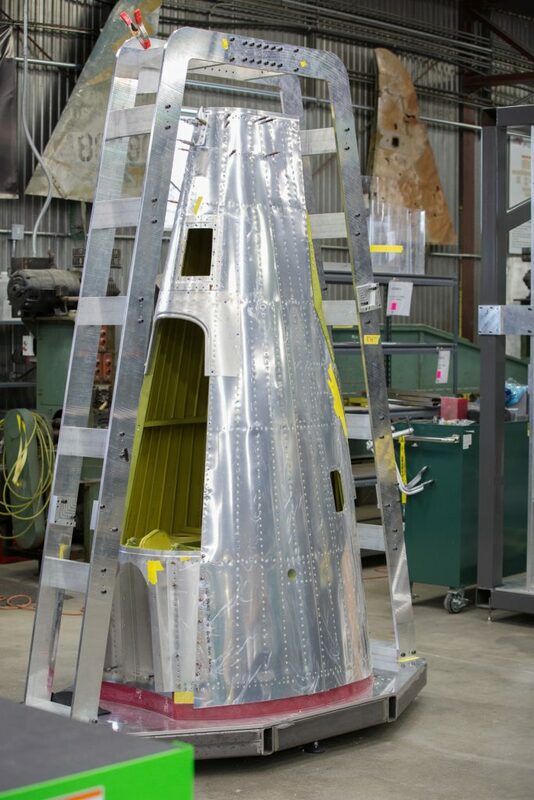 The tail cone, horizontal stabilizer, and vertical stabilizer are pretty much finished, but this month an even more exciting part of the restoration began. 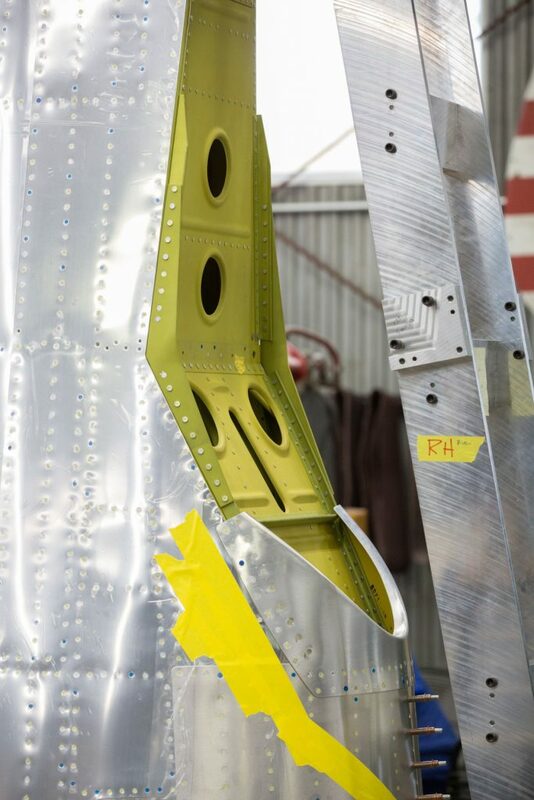 Fuselage longerons and ribs went into the fixture, so for the first time the forward fuselage is beyond the parts fitting stage and is under active assembly. 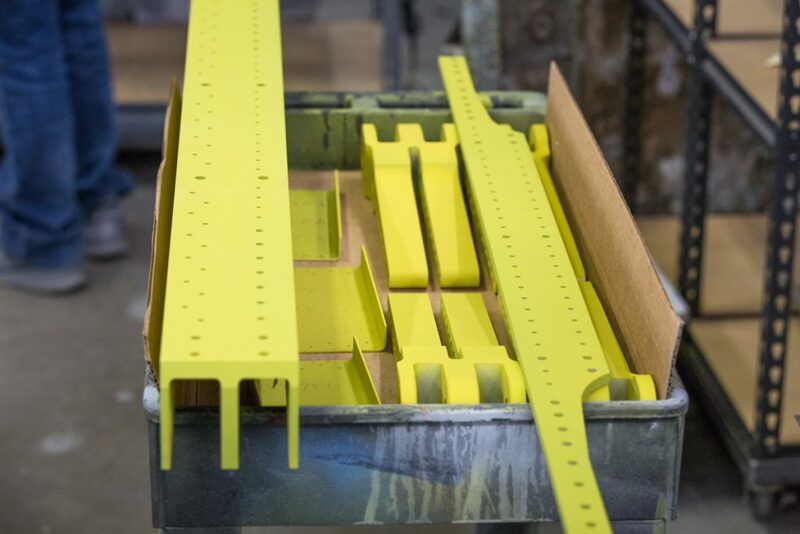 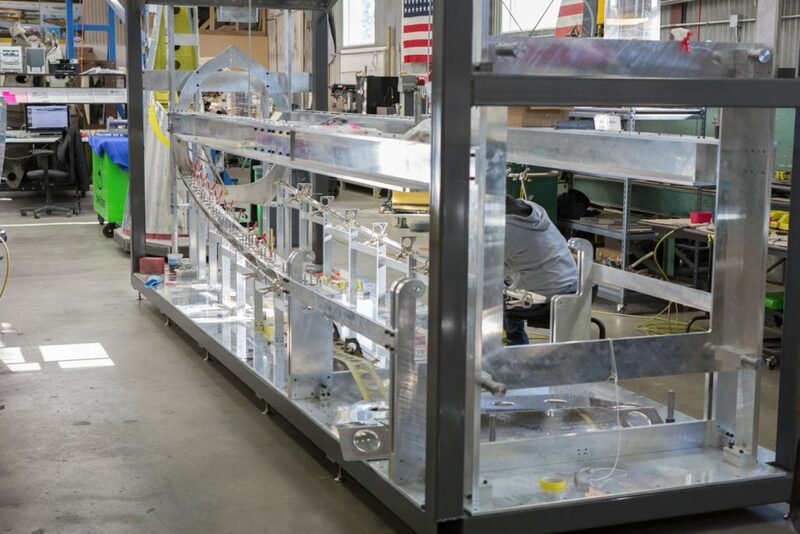 These lower longerons form a compound curve as they extend back and they each have over 30 separate pieces that need to fit perfectly to make the assembled longeron conform to the Thunderbolt’s beautiful lines. 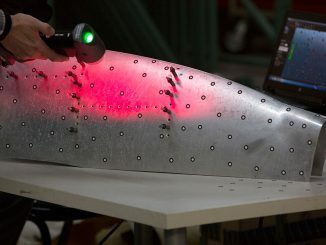 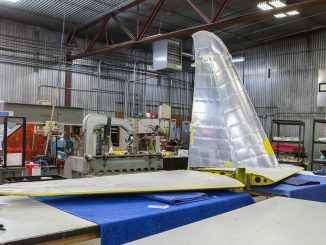 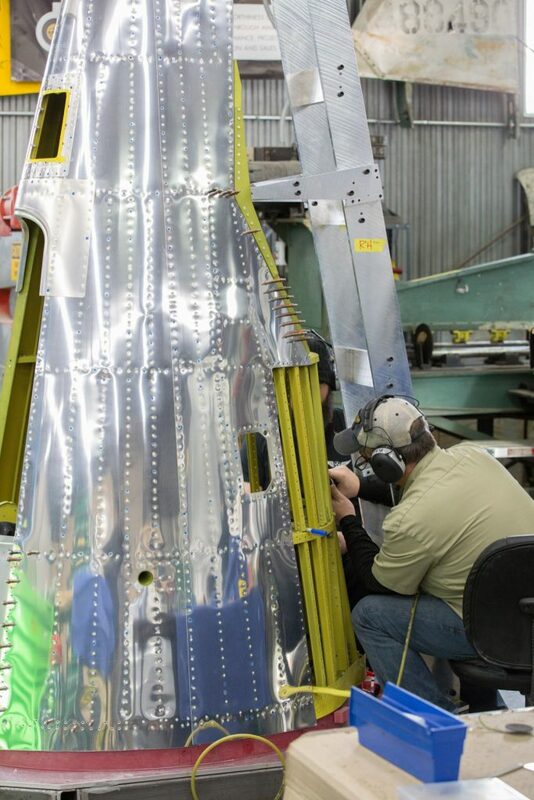 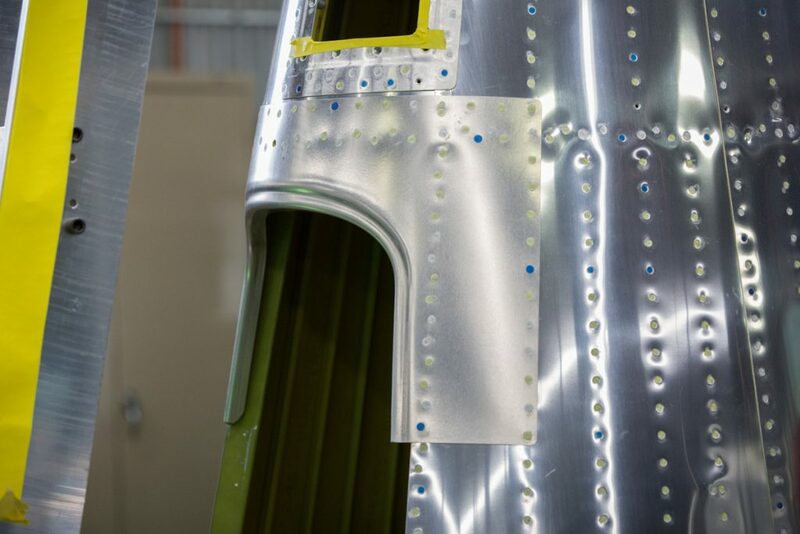 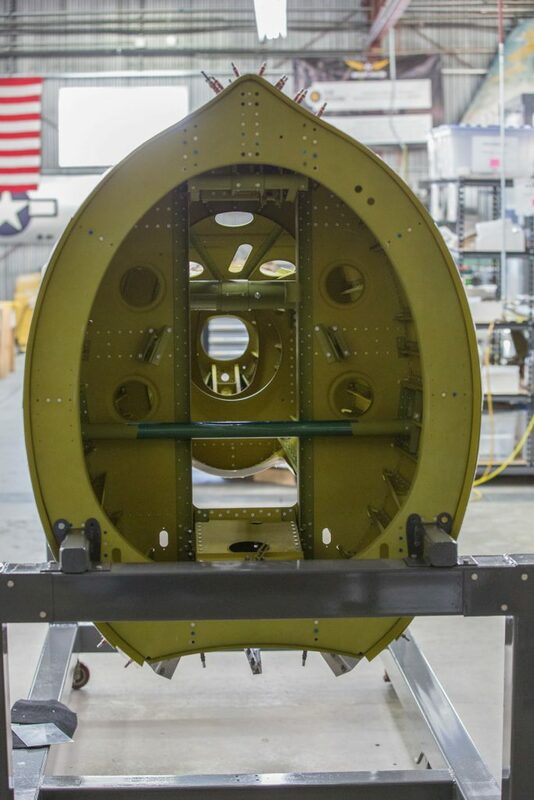 As the work on assembling the forward fuselage got underway, the finishing touches were put on the tail cone this month and the permanent riveting was done- other than a few that will be left off to facilitate later assembly. 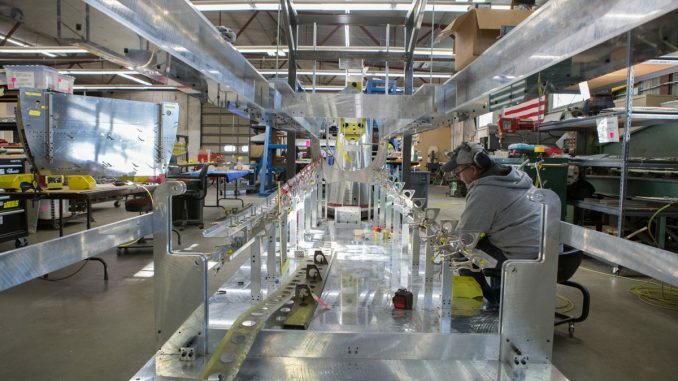 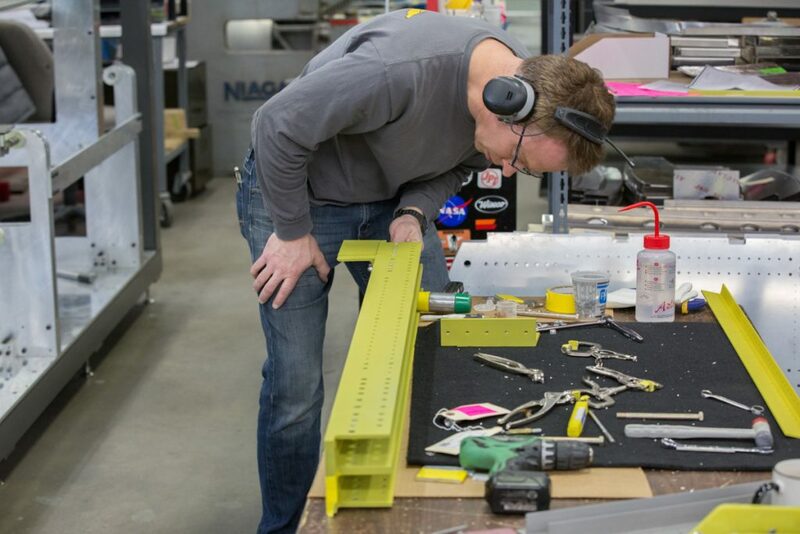 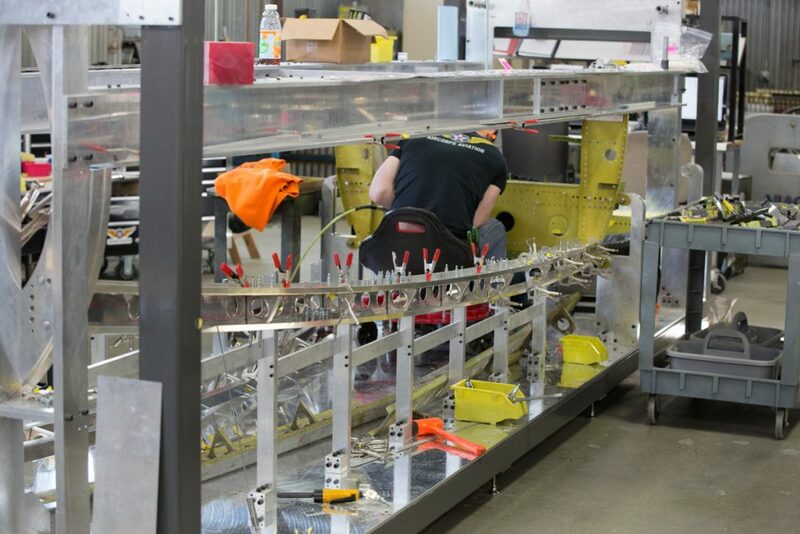 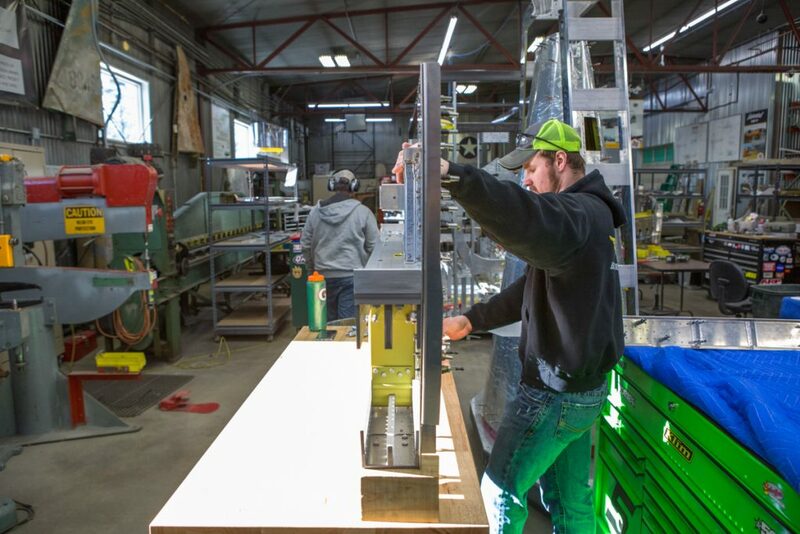 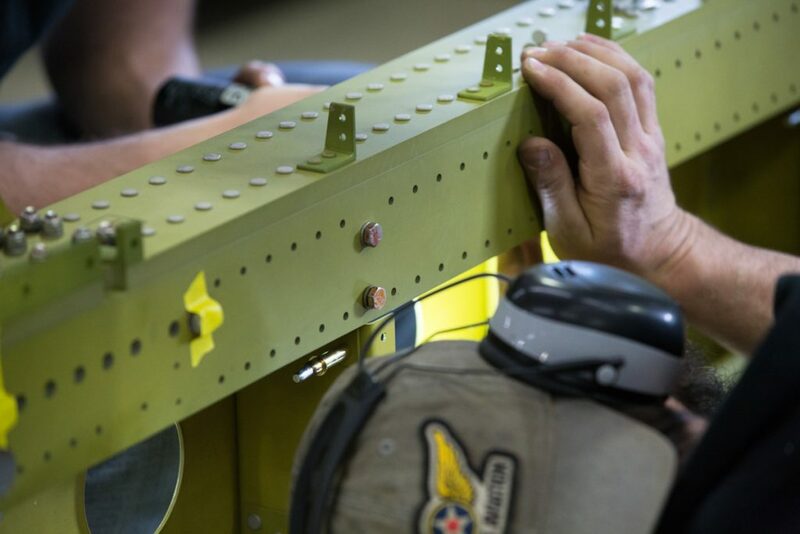 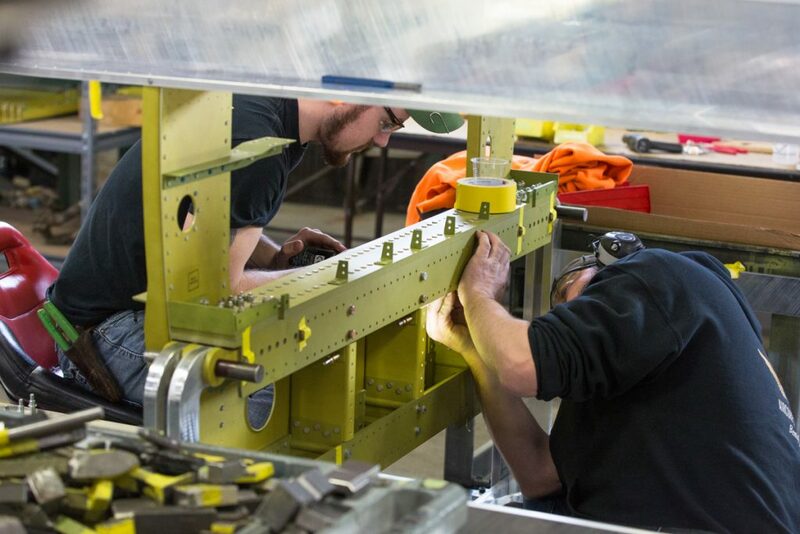 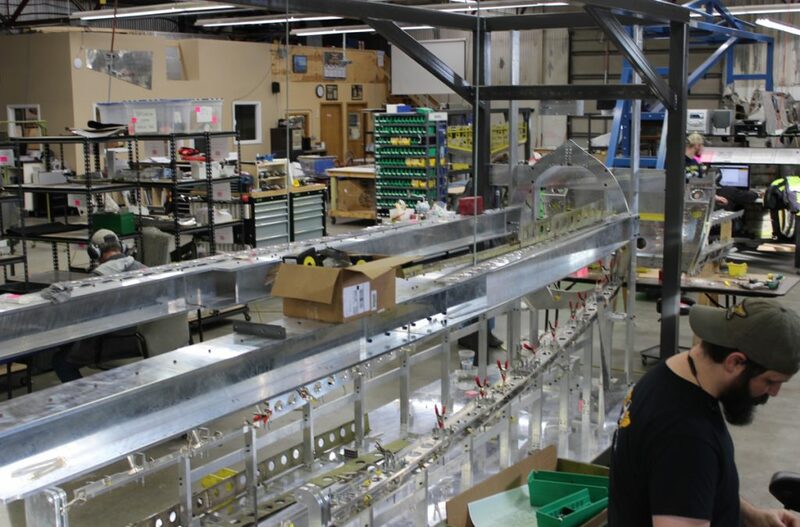 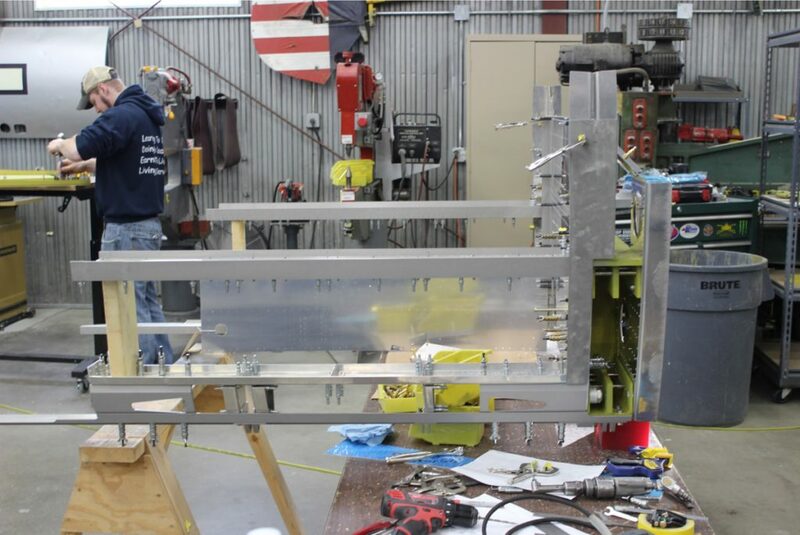 The whole assembly was removed from the vertical fixture and mounted on a horizontal stand that will make it easy to mate with the rest of the fuselage when that time comes. 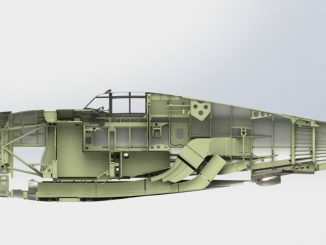 And that’s all for this update. 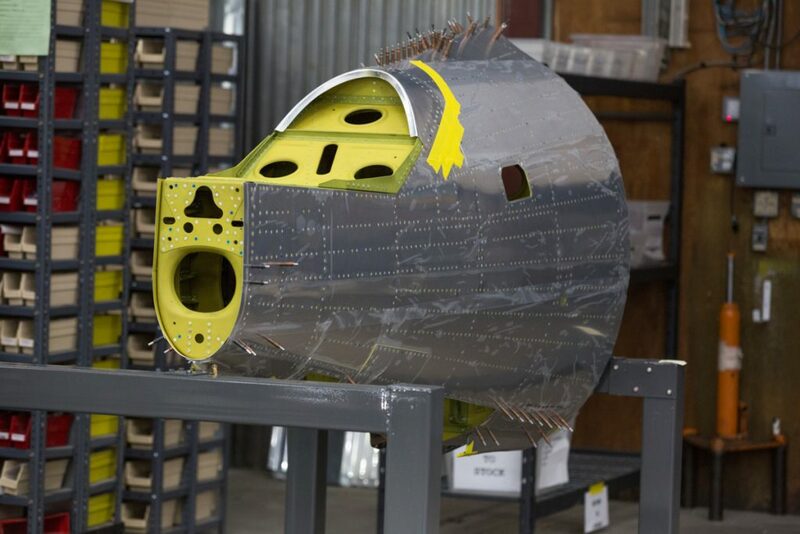 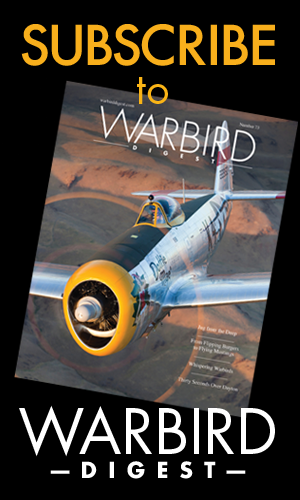 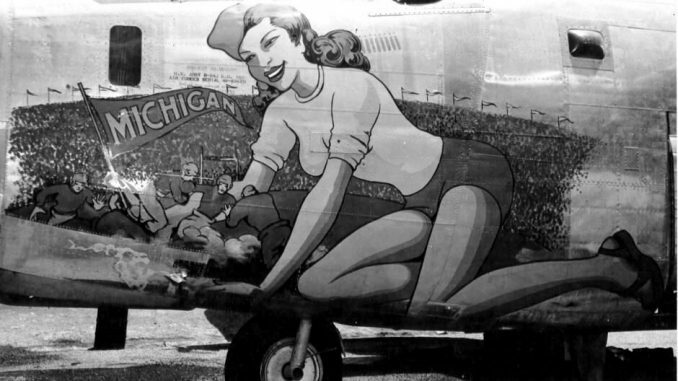 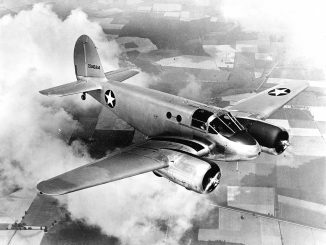 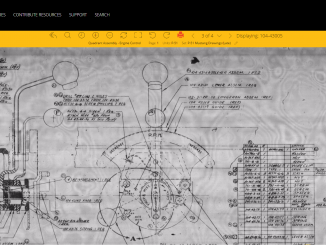 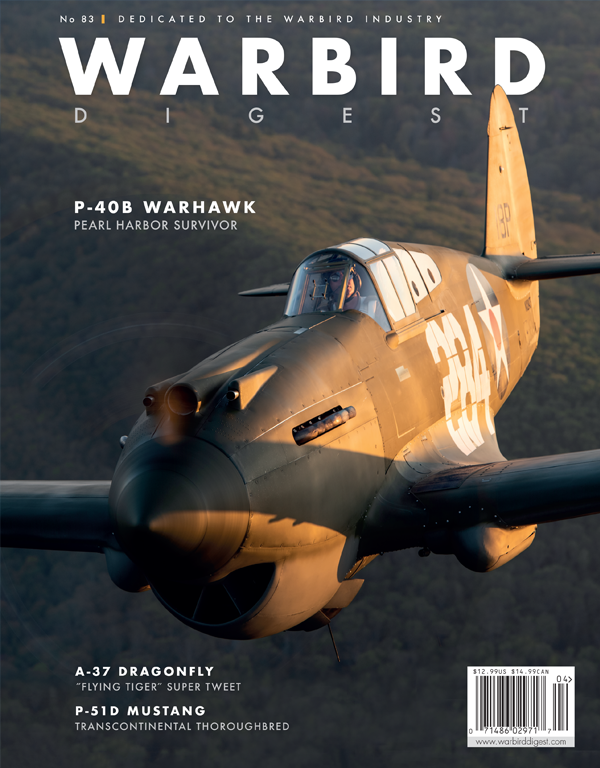 However, I would like to acknowledge a worthy project currently underway at the New Tech Institute in Evansville, Indiana; the city where the Republic Aviation Corporation had a factory that produced the very P-47D depicted in this article. 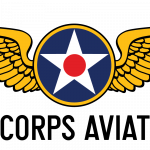 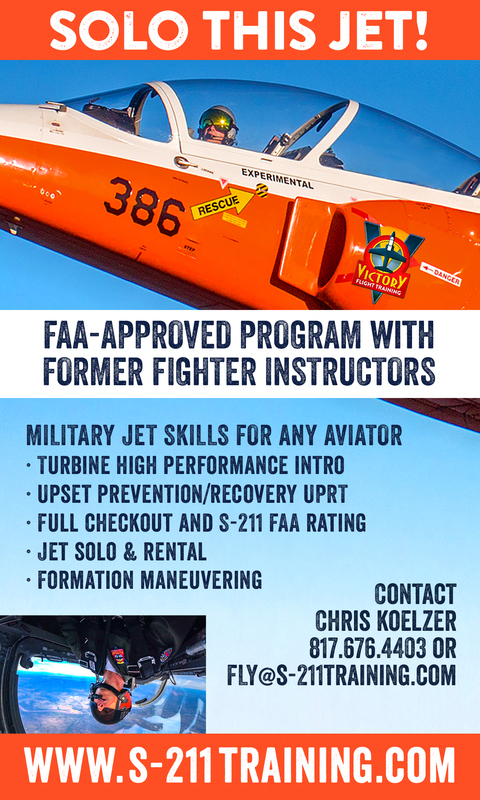 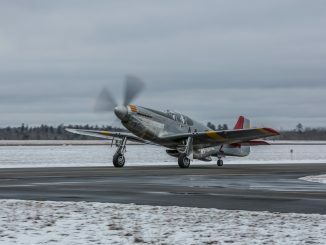 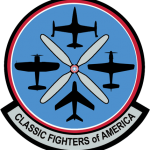 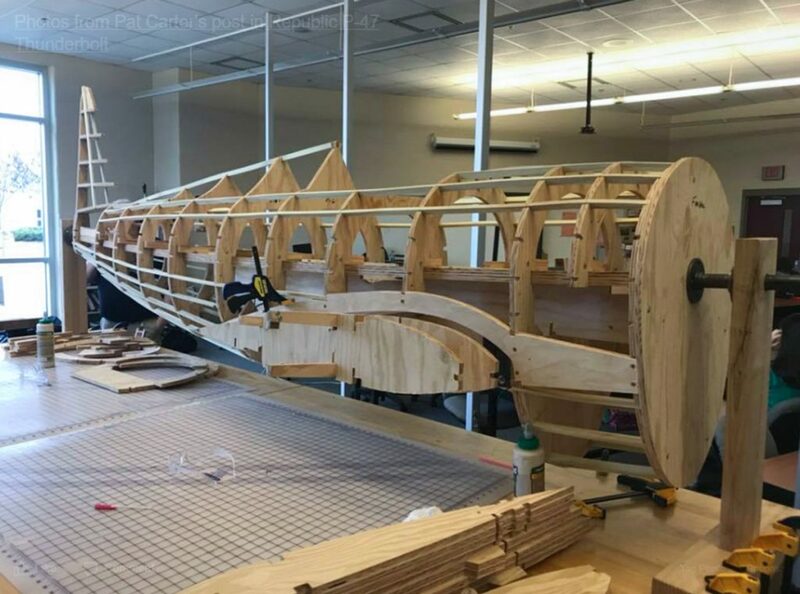 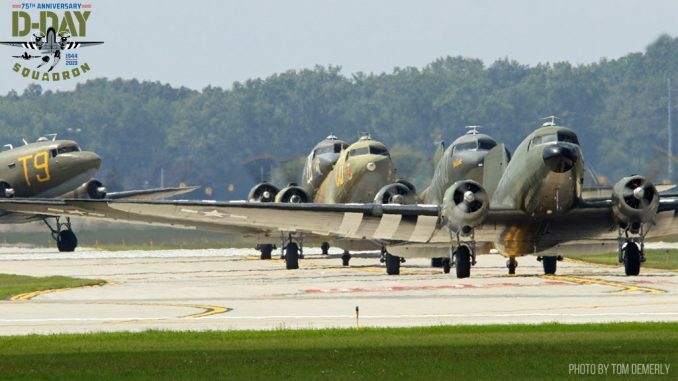 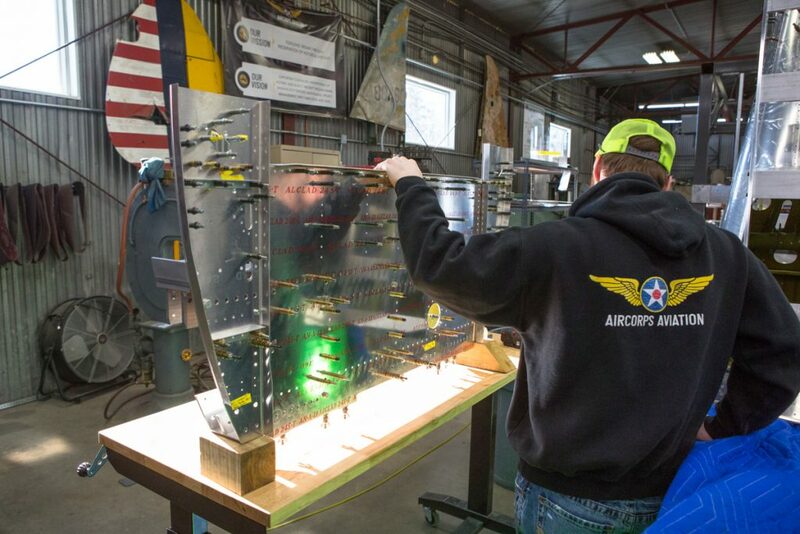 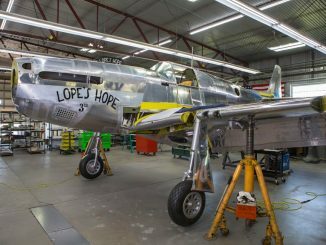 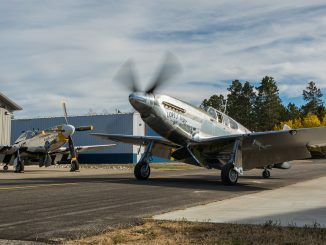 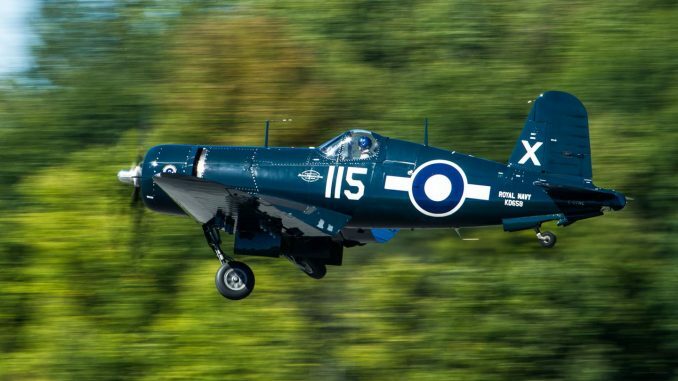 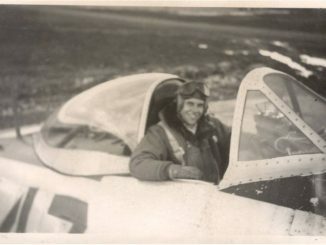 The New Tech Institute is a Project Based School, and one of their teachers is currently involving his students in an effort to create a pair of replica P-47 Thunderbolts for display nearby. 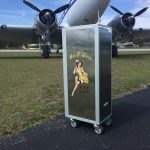 Teacher Pat Carter’s words below speak for themselves, but I am sure the group would welcome donations, or other forms of assistance to help with their efforts. 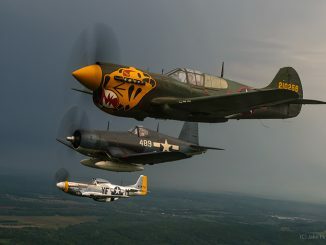 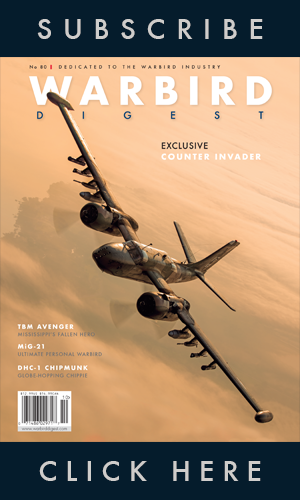 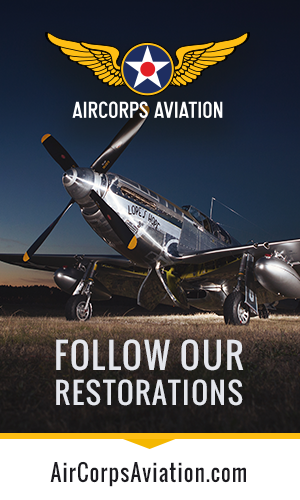 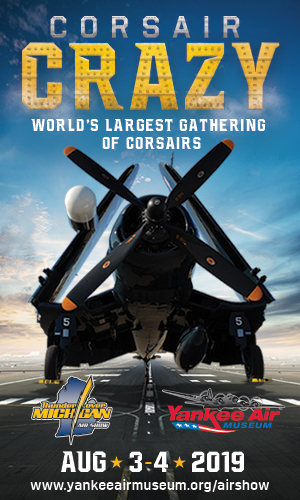 AirCorps Aviation decided to help the project, and felt the involved students, teachers, and consultants could benefit from membership in AirCorps Library which gives them access to the available engineering drawings, manuals, and other information on the P-47 and over 20 other warbirds. 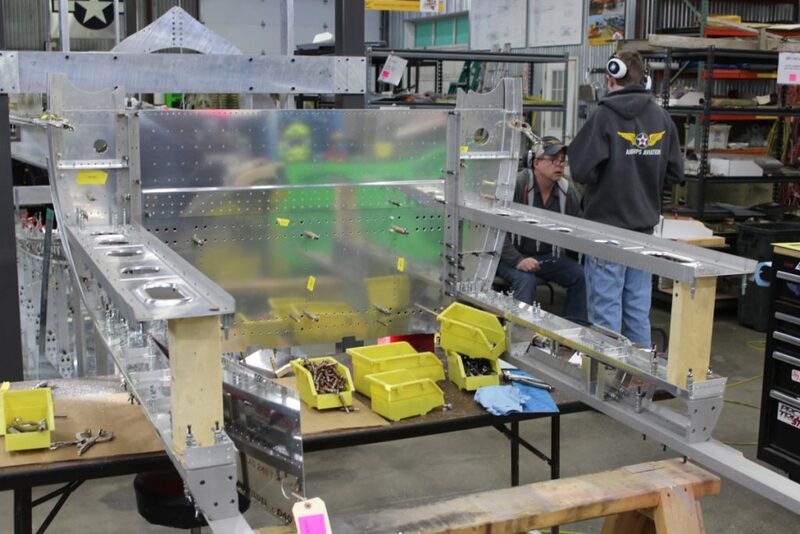 If you are also interested in supporting their project, please contact Pat Carter at 812-746-8796.